never been more important to fans of music, sports and entertainment. Harvey is a legendary producer and promoter of live & charity events, as well as television broadcasts. He has produced, managed and promoted shows with many of the world’s major artists, taking responsibility for the world’s two largest music events ever: Live Aid and Live 8. Harvey has received numerous awards, including a CBE, the Chevalier des Artes et Lettres and the Diamond Award for his contribution to the arts, in celebration of the Queen’s Diamond Jubilee. In 2009, Harvey began working with Andrea Bocelli, co-promoting his sold-out UK shows. In June 2012, Harvey produced The Jubilee Family Festival in association with Sainsbury’s, hosted in Hyde Park over 2 days as part of Her Majesty The Queen’s Diamond Jubilee celebrations. In June 2013, Harvey produced ‘Sound of Change Live’ - a charity event founded by Gucci - at Twickenham Stadium. He is also the founder of OnBlackheath Festival. In 2016 & 2017, Harvey co-produced Hans Zimmer Revealed and Live World Tours, with over 100 shows in 38 countries. He is chairman of British Music Experience, the UK’s only museum of contemporary music. Mark is an accomplished Creative Producer and Project Director with 20 years’ experience. With broad experience across live events and experiential marketing. Mark’s most celebrated work as creative producer and project director is in large-scale public events. His portfolio includes five years as the show producer for London’s New Year’s Eve fireworks, being creative producer for the band U2 as well as project director for major sporting events including F1 Live in London, the Olympic Heroes Parade in Manchester, New York Super Bowl for Verizon and the Rugby World Cup 2015 central London fan zone, including a live screening of the final in London. Grant is an award-winning Creative Director with experience in every area of advertising. He specialises in creating unique live experiences for sport and entertainment. His projects have included activations for the NFL, Premier League, Rugby World Cup, F1 Live in London and the New York Super Bowl for Verizon. In entertainment, he’s devised a pop up 1980s high street for Vodafone, an immersive theatre train for Bombay Sapphire, created the Smirnoff Paintfest, and a tattoo parlour for Sailor Jerry. In addition, Grant has led specialist creative teams on a number of film premieres, music festivals and stunts. 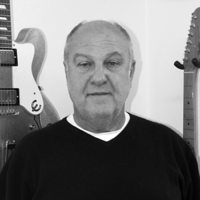 Jim is an experienced live event and show producer, with over 25 years’ experience. He has been responsible for developing, producing and delivering a wide range of entertainment projects worldwide, including Hans Zimmer Live Tours 2016/2017, the 2010 FIFA World Cup kick-off concert in South Africa, the Ahmet Ertegun tribute concert with Led Zeppelin, alongside being a production consultant for the Ultra Music Festivals worldwide. Jim’s relationships throughout the industry enable him to deliver any size project in any corner of the globe. He is renowned for his skill and resourcefulness to get the job done even under the most extreme circumstances. Luke has worked globally as a lead producer, production manager and event manager for artists, promoters, broadcasters and creative agencies on a range of projects including multi artist concerts, tours, events for broadcast and brand activations. Clients have included Live Nation, AEG, Glastonbury Festival, Google, Vodafone, Huawei, WWE, Adidas, Nike, Rapha, Oakley, Diageo, Nissan, Fiat, MTV, Nickelodeon, LVMH, Unilever and the Greater London Authority. 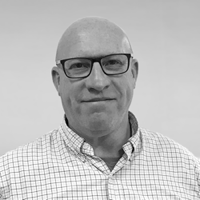 He was a co-founder of two successful live event companies and an award winning live event & youth development initiative and has overseen accreditation for ISO9001 Quality Management Systems with multiple organisations. Internationally, Tim designs, develops and installs complex event infrastructures and consults on crowd management at mass gatherings for promoters and local authorities. He has worked with the world’s biggest promoters, artists, brands and agencies as a production manager, stage manager and site manager. Projects have included: Oasis in the Park; Beyond the Valley Festival in Australia; Reading Festivals (since 1996) and London 2012. 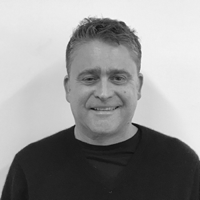 More recently, Tim has worked with London Stadium to ensure the smooth reception of touring acts including: ACDC; Depeche Mode; Guns N' Roses, as well as welcoming international athletics to the stadium.